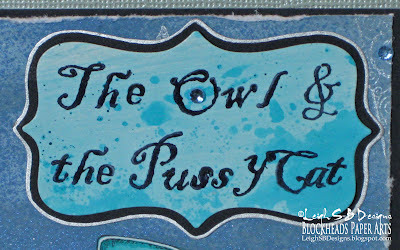 Velvet Paw Creations: The Owl and the PussyCat - another Blockheads' FairyTale Project! 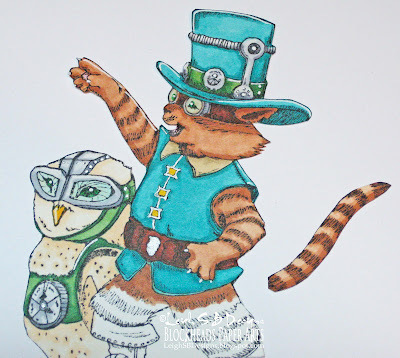 The Owl and the PussyCat - another Blockheads' FairyTale Project! 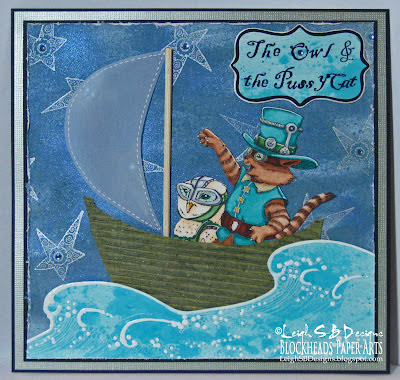 I'm back today with another fun 'Fringe Fairytail' project for Blockheads Paper Arts and this time we're going to sea with the Owl and the Pussycat! This one measures 7.50 inches x 7.25 inches. 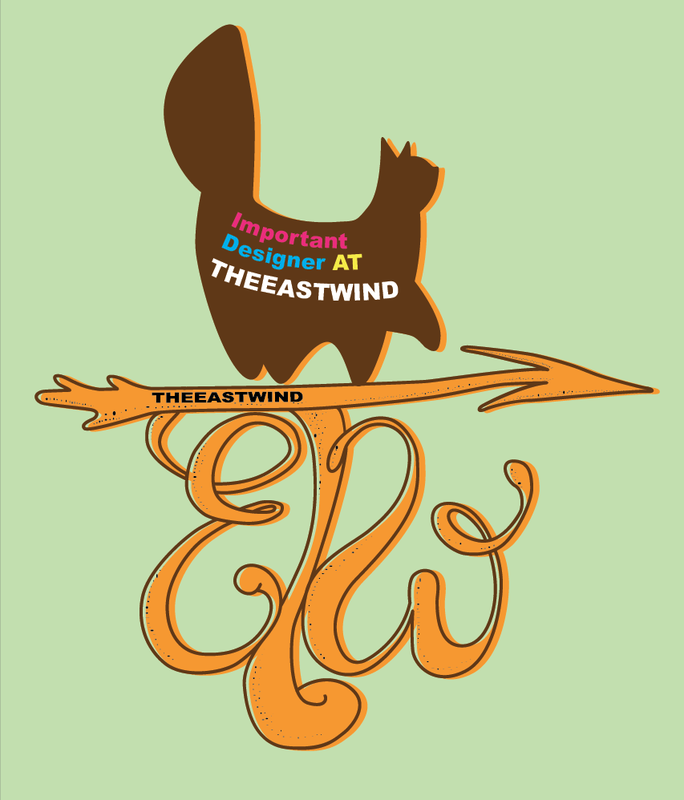 I was inspired by the poem by Edward Lear. This one isn't as detailed as 'Tea Time Hissy Fit' but still took a little bit of extra time to make and I had loads of fun stamping up a storm which luckily didn't effect my fringe folk in their little boat! Stamp the Pussycat onto a sheet of Strathmore Bristol Smooth cardstock with Tuxedo Black Memento ink. Mask the left side of the image and stamp the Owl. 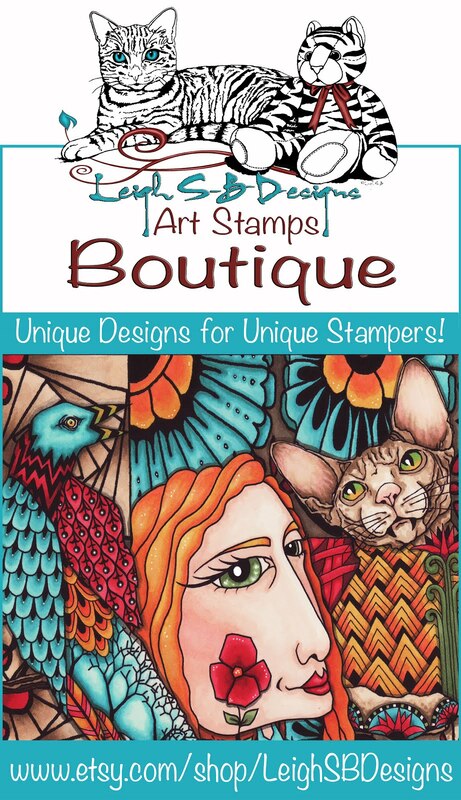 Both images are from Blockheads' latest stamp set "Fringe Fairytails". Create a starry night sky on a sheet of white cardstock. 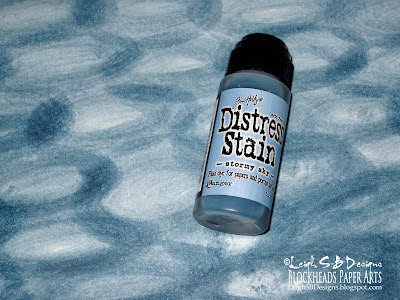 First apply Stormy Sky Distress Stain in a swirly action which reminds me of a Van Gogh sky...the swirls are really much darker in reality than they appear in the above photo. Spritz the entire sheet with Fireworks Danube Blue to add the glorious shimmer. 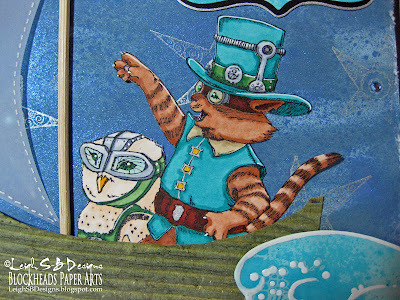 Zap the background cardstock with a heat gun to dry it. 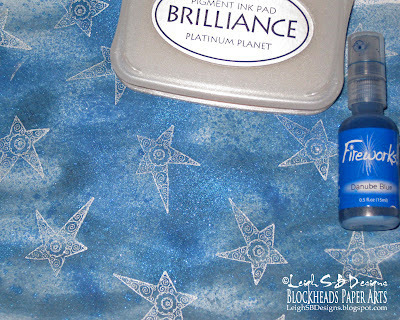 Randomly stamp the the star image from Blockheads' Christmas Morning stamp set all over with Brilliance Platinum Planet. Put aside to dry. 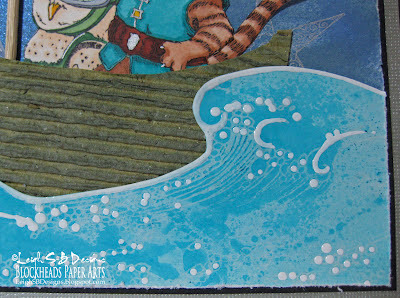 Stamp the Waves image from Blockheads' Seascapes-Fishes stamp set twice onto a sheet of white glossy cardstock with Ranger's Clear Resist Pad and heat set with a heat gun. 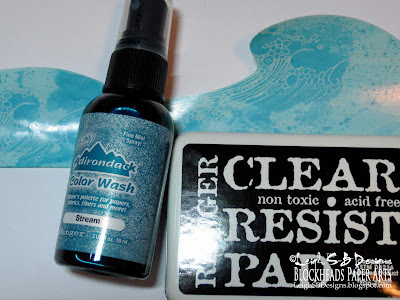 Spritz Stream Adirondack Color Wash onto a non-stick craft sheet and smear the glossy cardstock around on the ink to create the glorious mottled watery effect. Immediately wipe at the ink with a piece of scrunched up paper towel to remove the excess ink and make the resist image appear. Cut out the waves and add some white details with Inkssentials Enamel Accents and put aside to dry. 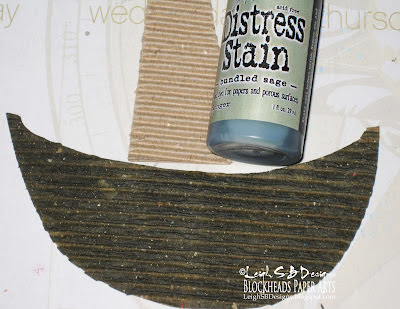 Cut a boat shape from a piece of corrugated kraft board and stain it green with Bundled Sage Distress Ink. The boat is still wet in the photo above...you can see in the other photos that the ink dries a lighter green. 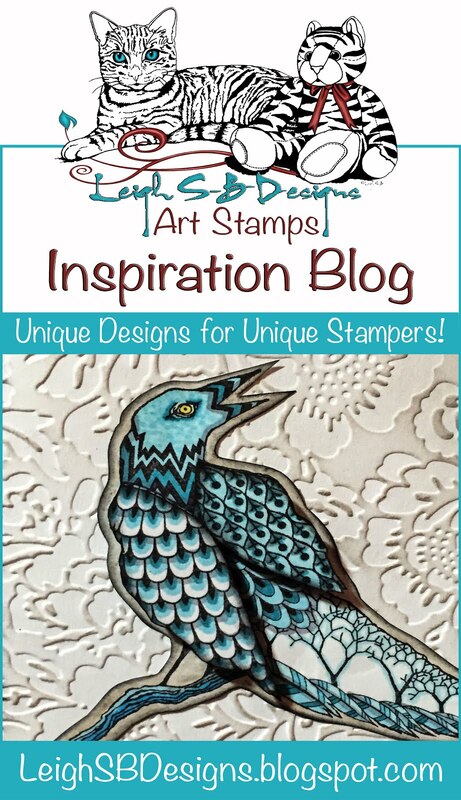 Stamp up a fancy label on a scrap piece of the sea cardstock using one of Blockheads' full sheet of Alphabet fonts. 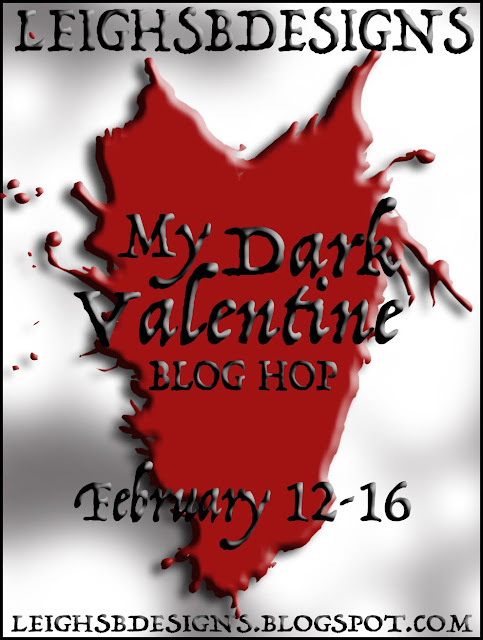 I used the script font that has both upper and lower case and stamped each letter separately with Ranger's Jet Black Archival Ink. I eyeballed all the placement which was a bit tricky...I'm not totally happy with 'PussyCat', I didn't get the 'y' where I wanted it. Die cut the label out with a Quickutz die. 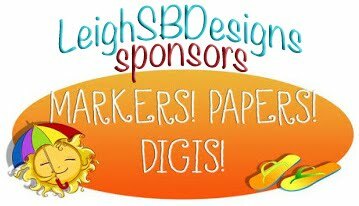 Use the same die as a stencil and trace the outside edge onto a scrap piece of black cardstock and cut it out with scissors. 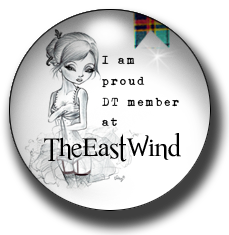 Edge the black mat with a metallic silver paint pen and adhere the stamped label to the mat with double sided tape. 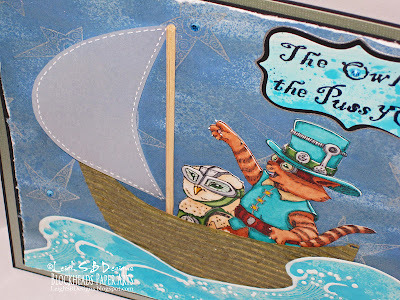 Make a sail from a piece of vellum and add white stitches all around the outer edge with a white gel pen. The mast is a spare wood reed from a mini oil diffuser set I picked up in Target's $1 section a few years ago. 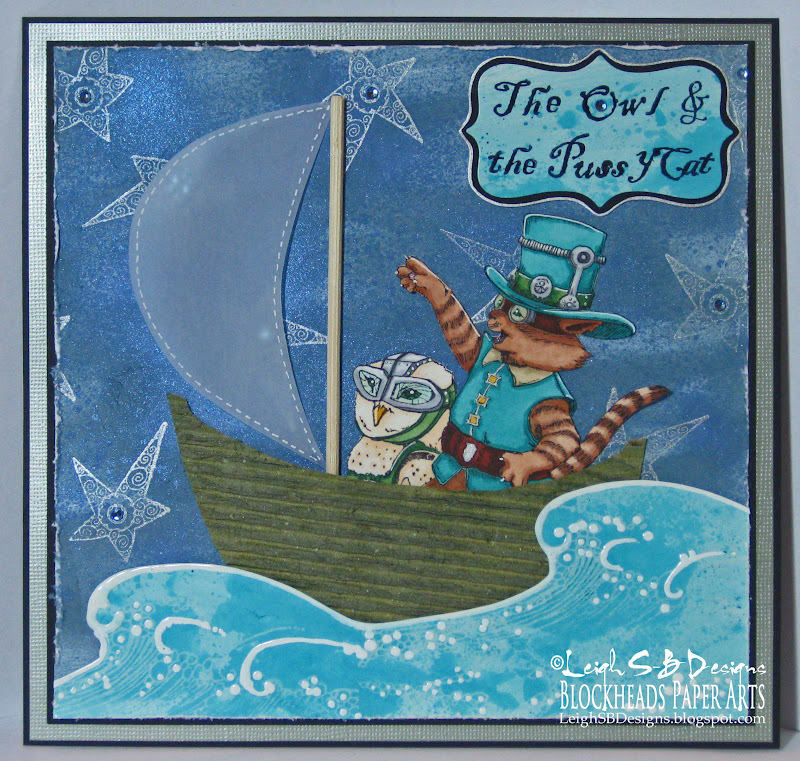 Adhere all the elements to the starry night background panel with craft glue and distress the edges of the panel with Tim's paper distress tool. Cut a mat from black cardstock slightly larger than the starry night panel. Then a mat from pale metallic green cardstock and finally a larger mat from black cardstock (7.5 inches x 7.25 inches) and assemble and adhere everything with craft glue. Embellish all the stars and the fancy label with small blue crystal self adhesive rhinestones by Recollections. Add an easel back to finish off this paper arts project. Here's a closer look at some of the details and you can see the lighter green boat in these pics too. I hope you've enjoyed checking out my latest Fairytale paper arts project! 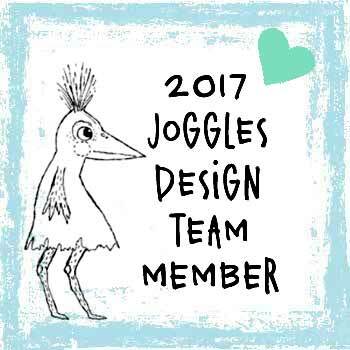 You can also see what my fellow Blockheads DT mates are doing with the Fringe Folktails below in the inlinkz collection! 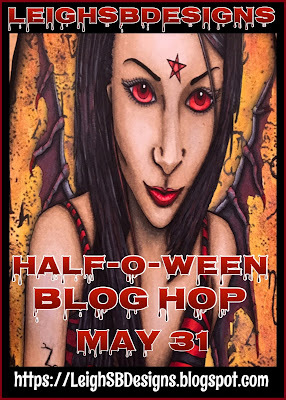 This is such great fun Leigh, I love that rhyme and you have depicted it absolutely beautifully. 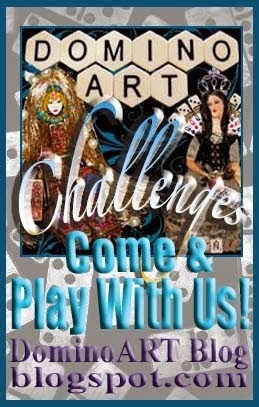 Thanks so much to joining us at Craft a Scene challenge this month. I am so loving this creation. I hope that you have a great day. 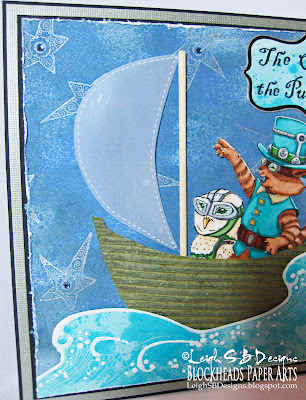 What a fabulous and detailed card,love the cute images and great colouring, your night sky is fabulous. Oh, Leigh!! This is soooo cute. They look like they are having a fine time sailing away! Really like how you made the night sky! Fabulous scene! Love how you built it with different types of papers and techniques. 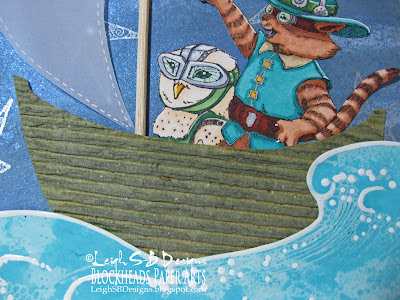 Great distress stain sky and glossy cardstock waves. 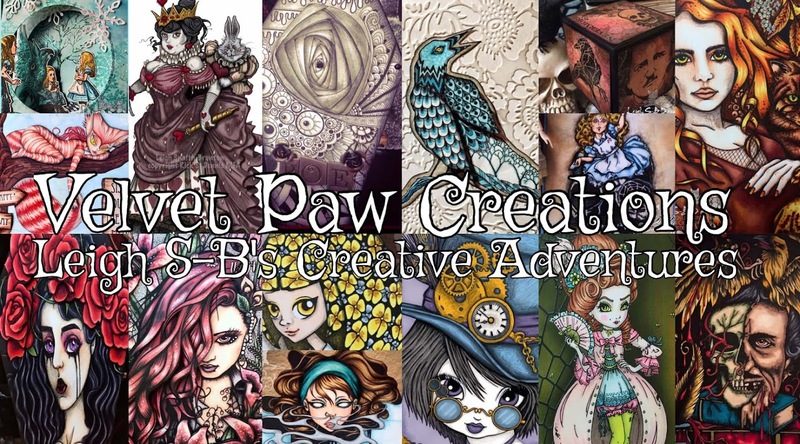 Thank you for sharing with us at Craft A Scene! A gorgeous card. Thanks for joining us this week at card mania. 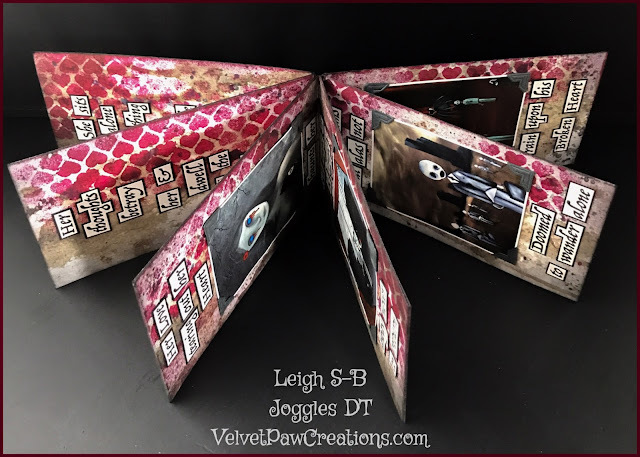 Wow what a fantastic card love all the mediums and techniques used excellent.